Floss-A-Way Bags are 3"x5" clear plastic zip lock bags for thread storage. 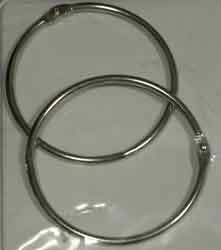 Stainless steel rings for use with the Floss-A-Way Bags. Price per ring. 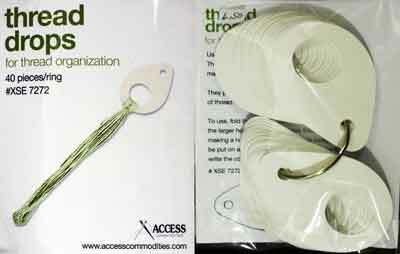 This set of 40 thread drops on a ring is great for labeling and storing open skeins of thread for a project. Put a different thread on each Thread Drop and label it with the important information about the thread, including where it will be used in the project. You will want to keep a set of Thread Drops for every project. 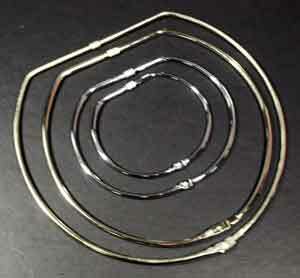 Metal rings for thread storage. 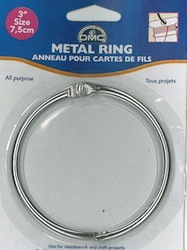 Great for individual projects or for your entire collection of threads. Available sizes: 4", 6", 8", 10".